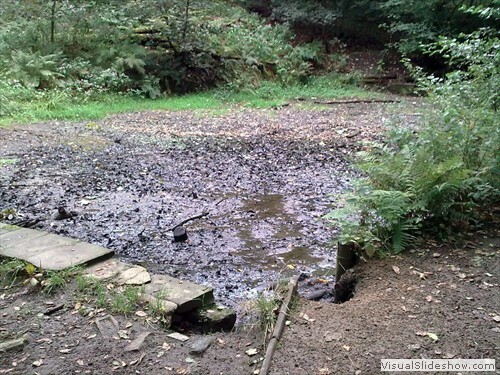 The focus of the practical conservation work in Northcliffe Woods over the summer is the removal of Himalayan Balsam in the area around the pond and either side of the stream. 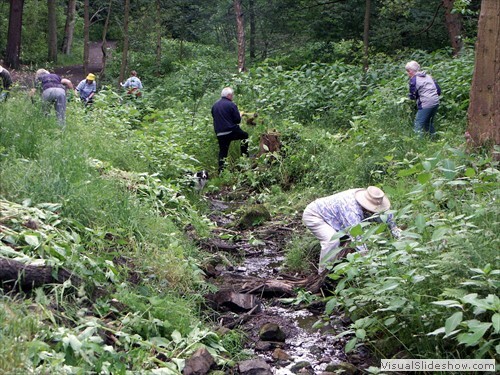 Himalayan Balsam Pulling sessions are a common task over the summer. We are grateful for all the help we can get for this task. If you can come along and help with this task please check the News and Events page for dates. 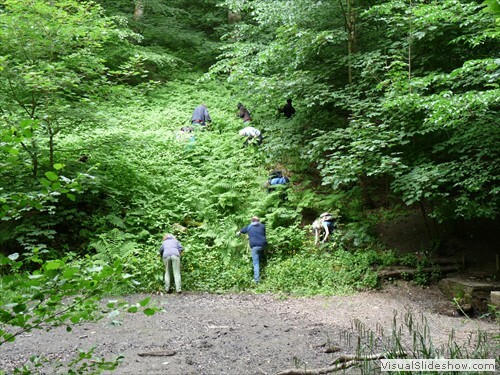 The clearing of the Himalayan Balsam is an on going battle. This accidentally introduced alien plant is very invasive. If left to its own devises it will kill off our own native plants. The amount of Himalayan Balsam in the woods is rather overwhelming. 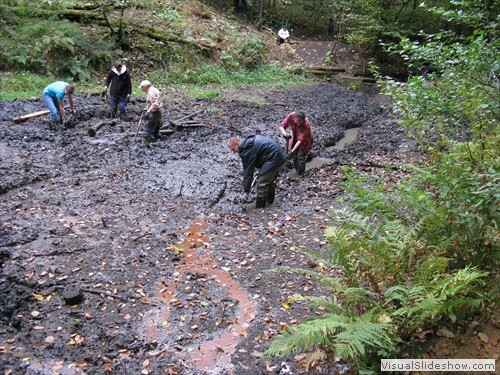 However the number of other species still growing amongst it, such as wild angelica, bluebells, wood sorrel and many ferns, provides the motivation to continue the efforts to remove it. We have been working to re-landscape the pond to reduce the area of exposed mud by channelling the water and planting around the edges. The Council started the improvements by repairing the wall. June 2010 BEES (Bradford Environmental Education Service) volunteers who run a weekly conservation group were involved in working on the bank around the pond. 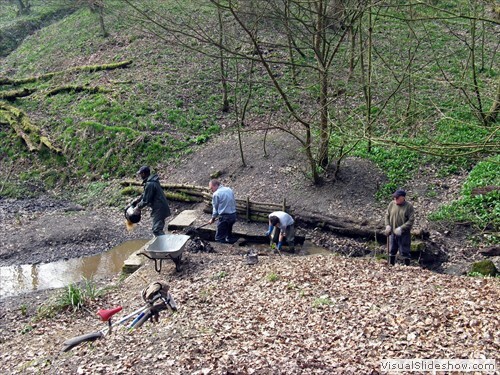 Other members of the group concentrated on emptying the silt traps and repairing the revetments where the stream enters the pond. 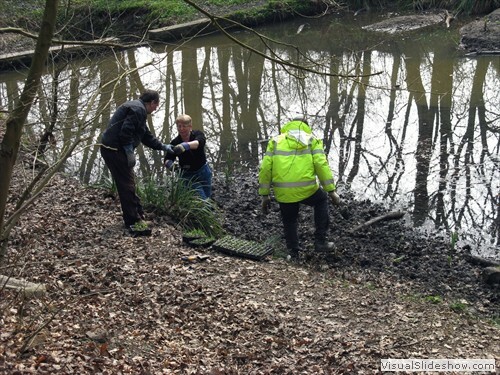 In October 2010 volunteers dug out the pond and started the planting. Planting was completed in March 2011. This work has been made possible by the support of local Councillors and funding from Shipley Area Committee. We are delighted to have received a Bradford C Net Grass Roots Grant of £530. The money has been used to buy loppers, bow saws and other tools plus health and safety equipment. 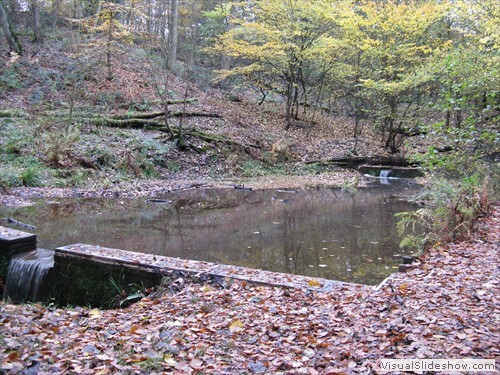 These will be a great asset in aiding the conservation management in the woods in future years in collaboration with Bradford Council Woodlands Management. 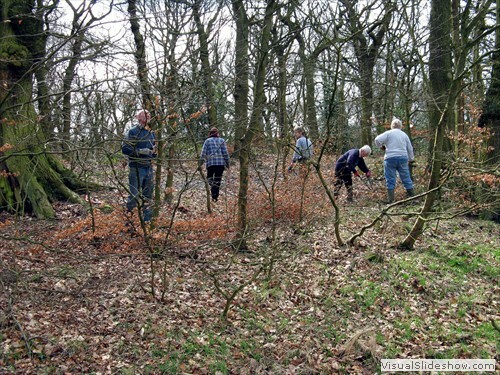 Our winter woodland task is mainly clearing beech saplings from November through to mid March. Again we are grateful for volunteers to help with this task. Check the News and Events page for dates and times. 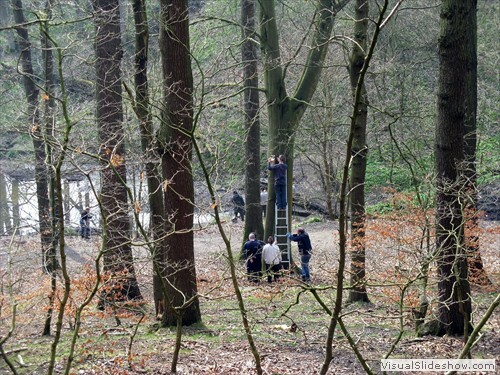 The clearing of the saplings opens up the canopy to allow more light into the wood. 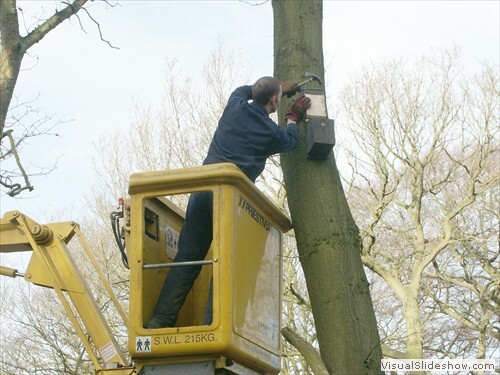 This will allow the woodland plants such as bluebells to thrive. 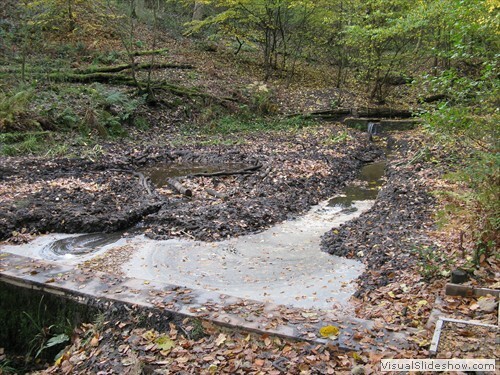 Conservation in the open areas is a case of less is better. Instead of cutting the grass in the open area it is left to grow apart from path ways and (hopefully) a single cut in the autumn. This is creating a better environment for nature. In 2013 an orchid was seen for the first time in the meadow.